One of the many benefits arising from the Thrive Plymouth : Food Plymouth collaboration helping to deliver Thrive Plymouth Year 5 is a closer working relationship between Food Plymouth and the City Council’s Environmental Health team. One of the latest expressions of this is an opportunity for Food Plymouth partners, network members and stakeholders to promote their products and services at a special workshop targeting the City’s hospitality providers. This event is taking place at the Duke of Cornwall Hotel on 9th May. 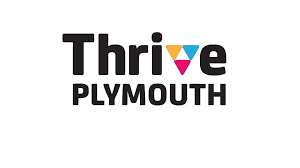 This year’s Thrive Plymouth theme is Connecting People Through Food and many of you are already engaged with Plymouth’s ambitions to be a Silver Award City within the Sustainable Food Cities Network . In furtherance of this, thanks to those of you who have already responded and booked to have a FREE display stand at our forthcoming event Food Safety Plus workshop for Bed & Breakfast establishments, Guest Houses and Hotels. We are on track to present a safe food message to a number of smaller guest house and B&Bs which we have invited. To this end, we have invited the Mayflower 400 team, The Box, Plymouth Plan for Plastics, Devon & Somerset Fire & Rescue Service and Public Health England to partner us for this event for the benefit of the cities hospitality providers. We also recognise that Plymouth’s hospitality trade can benefit from your products and services and contribute to your agendas and outcomes. If this is true for you, please come along on May 9th and book a FREE stand to promote what you do. Our event booking link is here – please go to ‘Food Safety Plus 2019 – Event Supporting’ line of the ‘Upcoming courses and events’ section and click on the ‘Book’ button.